Come on in.. Welcome to the Pink Flamingo Bed and Breakfast. All good things must come to an end. It is with much sadness that I must announce that the Flamingo will be closing it doors. There can be no Pink Flamingo without Annie and Crash. I will love and miss you Annie. To think it all started with a polite golf clap.Till...Always.. 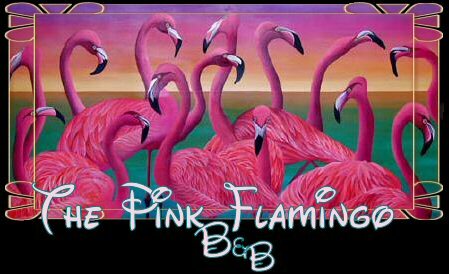 :) The Pink Flamingo will close it's door on Saturday 7/7/18. We wish all our friends the best in the future.